Revised Per Diem reports detailing our flying activities from 2018 are now available from the Employee Services Section of the company’s website, Flying Together. Once on the Employee Services tab, use the following navigation: My Info > Per Diem (tile) > 2018 Annual Per Diem Letter. 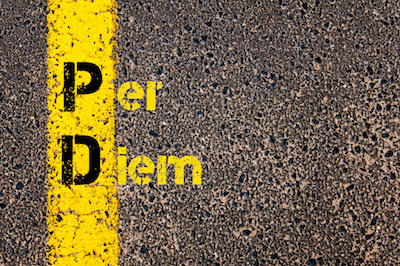 The per diem paid, both taxable and non-taxable, is no longer displayed at the segment level, but is now presented only in total as “Per Diem Received” and “Taxable Per Diem Received”. There is no longer a column with a “T” or “E” indicating taxable or exempt per diem. As with prior years, those occurrences of taxable per diem will have a “City Allowance” of zero. The “Report Time” and “Release Time” are not included in the new report. Report information, a disclaimer, and support information are provided on the Per Diem Report cover page. Earlier this week, it was reported that the original version of the document was missing certain specific trip data. As of this afternoon, we’ve been advised that those reports have been corrected. The reports currently available contain the correct information. We recommend that if you downloaded the form prior to Friday, February 1, 2019, you should review the current version online to ensure you capture any corrections that were made during the past several days. Contact the Payroll Care Center via Help Hub or at FLT LINE 1-800-358-5463 (Option 5, then 6) if you have questions or issues accessing your Per Diem report. Please refer to your pay register for questions regarding trip-related details on your report.